When Nelson Rolihlahla Mandela led the struggles against apartheid governance in the country decades ago, he may never have thought that there could be the same apartheid today in a rebranded form. He dedicated his whole life to fighting racism for which he went to prison. 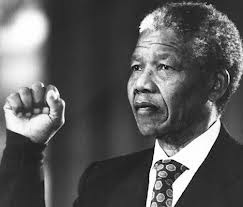 His wish was for every South African to live in peace. Many years after South Africa was freed from what seemed to be the chains of discrimination and shackles of injustice, one would definitely conclude that at last, all blacks can now walk side by side with the whites with their heads held high. among Blacks (faction/tribal hate), Whites (Afrikaners and Liberals). That which cannot be expunged from the south African system now, in tandem with as it were is of course the Whites fighting Blacks and vice versa. Many South Africans are screaming aloud to watchful eyes across the globe because to them, the listening ears (the government) have deliberately become deaf to their yearnings. The world over, most people may think that the days of racism are gone… the days of oppression and suppression have been erased from South Africans. We all get to be in the know when there is a very severe crime that makes round in the news internationally. Just like the case of a 23-year-old female physiotherapy intern who was beaten and gang raped in a bus in Delhi, India. If it did not attract international concerns and if the citizens did not come out en masse to protest, who would have known that it happens like it’s a tradition in India? It is only the wearer of a pair of shoes that feels the pains, until he or she cries out, no one can help out. The South Africans had cried for years before their independence, they are again crying out years after independence, for how long will they continue to cry? With what is happening today over there, I will categorically tag it as the most perilous kind of racism. 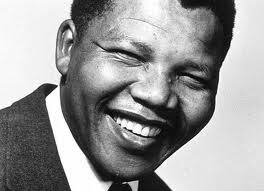 In his Long Walk To Freedom, Mandela explained that “the premise of apartheid was that whites were superior to Africans, Coloureds, and Indians, and the function of it was to entrench white supremacy forever like the nationalists put it, ‘die wit man moet altyd baas wees’; meaning that the white man must always remain boss”. A perception that still lingers and may not know no end until there becomes an international intervention. The recent case of the Olympic superstar Oscar Pistorius who shot dead model Reeva Steenkamp, his girl friend, keeps roving round my head when I ask the question, “what if the shooter were a black, will they have released him on bail?” possibly not. 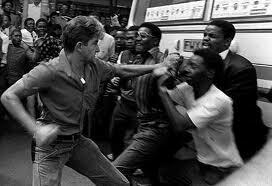 The racism in South Africa has overwhelmed white-black fight; the blacks are now being used to fight their fellow blacks. It is not just fighting their fellow black South Africans, the racism is also on any black whether or not he or she is from South Africa. No wonder Nigerians are being treated like they are predators trying to take over their resources. This could be what made them deport over 120 Nigerian citizens on the flimsy excuse that they possessed Yellow fever vaccine Certificates that were fake. Yet the expatriates from South Africa keep milking us here and no one talks about it. The veracity of the whole issue is that many South Africans still carry the grudges of things that happened years ago. The bone of contention is that a handful of many South African young men and women who were told of the stories of the bitterness in the past have joined forces in making sure that apartheid lives forever. They are loath to change from these barbaric acts. The worse is from their police officers who are very adept in discrimination that is why they can commit any crime over there and sweep them under the carpet. Last year around August, the country’s police service which was already under very difficult situation, was globally lambasted for shooting and killing 34 striking miners. During the surge against the apartheid South Africa, strikers were only arrested and put tentatively in prison just to deter others from continuing the movement. People were even eager to be arrested. But today, no one has the prerogative to exercise their fundamental human right. Score years ago, Martin Luther King had a dream that one day, the lips of certain leaders dripping with the words of interposition and nullification will be transformed into a situation where little black boys and girls will be able to join hands with little white boys and girls and walk together as sisters and brothers. He had his dream on the State of Alabama. But down here in the Southern part of Africa, that dream has long ago been shattered. Let’s hope that with the rate at which racism is being flourished, certain black parents would not be circumscribed from embracing their own children. However, if not that the 27 year old Mozambican Taxi driver Mido Macia was filmed being manhandled, handcuffed and dragged by a police van through the streets to a police station in the east of Johannesburg, they probably would have denied it. It’s unfortunate that Mido later died in the police custody. This is to tell you the extent that the racism has gone. I believe that there are several other issues that the country faces at the moment and it is definitely not going to be remedied by tribal and racial animosity. Therefore, the earlier South Africans begin to realize that the world will not end tomorrow the better. If only they will be able to ask themselves how long this racial discrimination will continue among themselves. The only people who can put a stop to this modernized apartheid are the younger generation. But before could be done, justice should be given to the offended. Or are we going to say that those administering justice and the bank of justice are bankrupt? I don’t think so! One day shall come when it shall be a day of justice because peace cannot work when there are still grudges in people’s minds. I belıeve even the fıght agaınst aparthıed has made an average South-Afrıcan to be racıal and vıolent ın nature.I really hope there wud b a total frm dıs racıal aggressıon.Ofcourse Madıbe dıdnt bargaın 4 dıs! !Nıce observatıon Dunn,the dream ıs real!. The question is why is the Blacks are being used by the white monkeys? Apartheid is part of South African day-to-day activities targeted at the black....... just imagine the injustice beckon on their fellow black individual....... hate em real bad. will they ever be a true SA?